While Tom Evans is best known for his phono amps, his amplifiers the Linear A and B’s and his pre-amp Vibe are as good as the Groove +SRX. Tom has essentially put over 25 years of his life in re-producing music better and better. 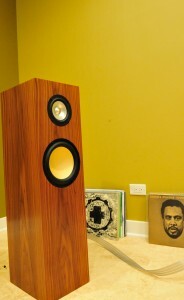 In fact, in recent years he has been working on building a pair of speakers he would love enough to put his name on it. All of the speaker electronics were designed using a Jordan Jx92s run full range without a crossover. In this new design the Jordan driver is limited to 120 Hz only by the volume of air behind it (lowering distortion with the reduced excursion without any crossover parts). The bass system is deep tight and very fast. It works from 120Hz down. This driver is (like most mid bass units ) is a little peaky at 2Khz and because it starts to roll off at 120Hz the peaky rubbish is greater than 24db down (inaudible). Because it has a narrow bandwidth, it does not excite the cabinet (no box honk). Tom Evans is on a mission to reproduce the recorded arts accurately. 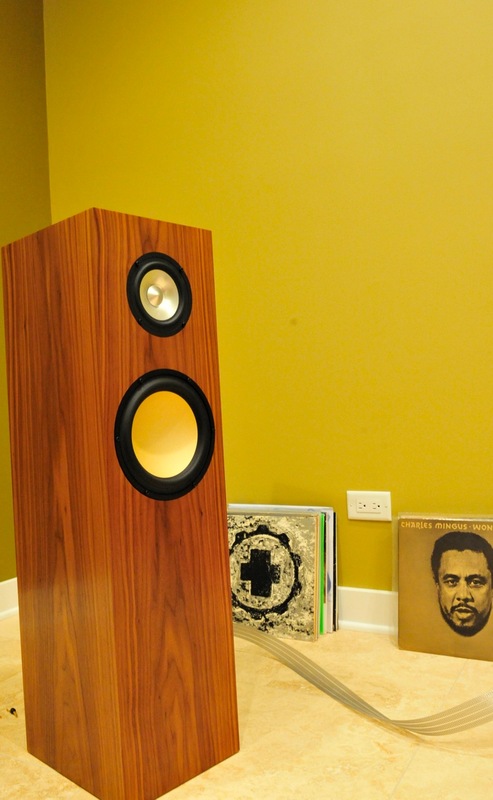 SORAsound offers Tom Evans speakers at 6,000 GBP, exact same price as in the UK.